Break off tough ends of asparagus as far down as stalks snap easily. Wash asparagus; cut into 1-inch pieces. In 10-inch nonstick skillet or wok, heat oil over medium heat. 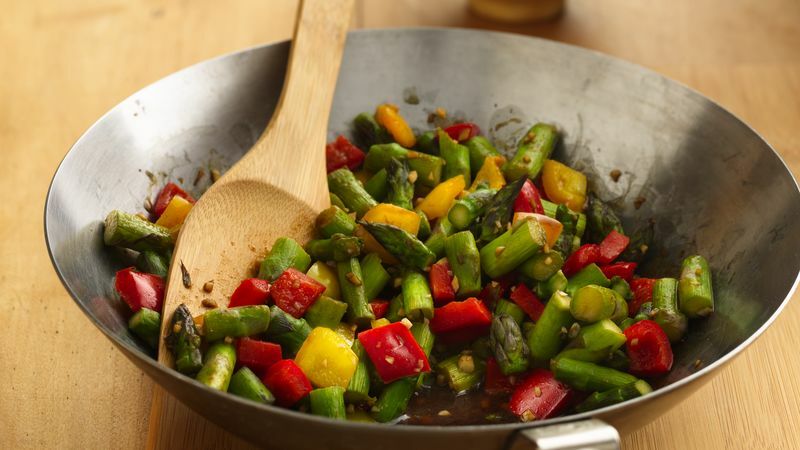 Add asparagus, bell pepper and garlic; cook 3 to 4 minutes or until crisp-tender, stirring constantly. In small bowl, mix orange juice, soy sauce and ginger until blended; stir into asparagus mixture. Cook and stir 15 to 30 seconds or until vegetables are coated.